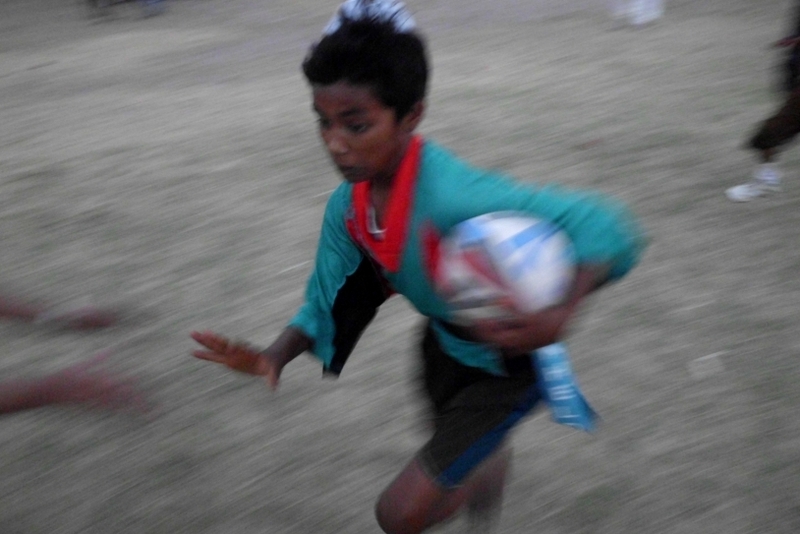 The Jungle Crows Foundation, through its unique open-for-all sport-for-development approach, has supported many children from disadvantaged communities over the years to express themselves through the medium of sports and reach their full potential. This interview series is an attempt to bring out the stories of several such young people associated with the Foundation. We aim to develop a platform for further discussion and dialogue on the theme of sports for development. 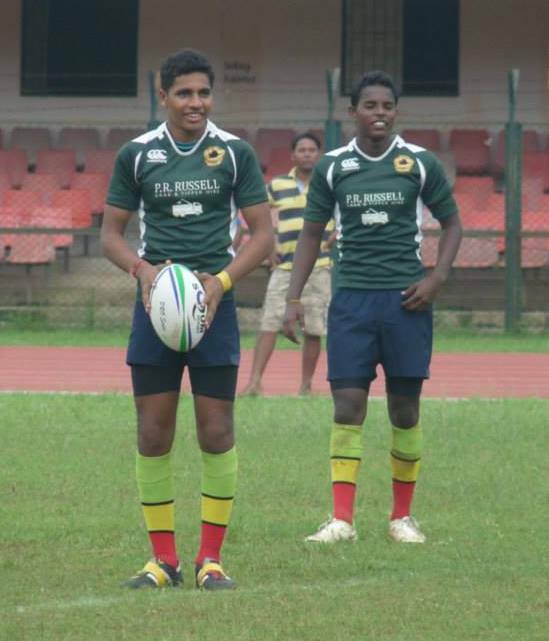 In the first of the series, Disha Musaddi speaks to two young rugby players – Akash Balmiki (19 years old) and Puspendu Tudu (20 years old) about the experiences and opportunities that have come their way since joining the Jungle Crows and starting to play rugby. So Puspendu, first of all, what’s the story behind your unique nick name ‘Commando’? Puspendu: As a kid I used to play and jump a lot. One day I jumped from the second floor and climbed three floors from the pipe. On seeing this, my friends told me I should be called Commando or ‘fauji’. They eventually stuck to Commando and gradually everyone started calling me by that name. For how many years have you boys been playing rugby? Akash: I have been playing for the last 6 years, started sometime in 2008. Puspendu: I started playing in 2004 when I was just 10 years old. We’ve heard that, initially, you both have practiced and played a lot together; tell us about those days and how you both started playing? Puspendu: At first, I wasn’t friends with Akash. We both belonged to different groups. Then gradually we became friends, then I asked him to join me in rugby, but he wasn’t interested. But when I got the chance to go to England one day to play, he was amazed to know about it and then decided to join me for practices. We would go for practices together…go everywhere together. If it rained, then the two of us would play in the maidan…sometimes only the two of us would be there. Which position do you both play? Akash: I play number 10, I personally feel it’s the best position ever. In this position the player has a lot to do and to think about. He has to take along all the players together. Puspendu: Centre. It is an important position in the back, they are the ones who make the game. Puspendu: One day before a match, we increase our water intake because we get cramp easily during a match and even tire easily. I then try my best to calm my mind and be at peace. Akash: Before a match, I drink lots of water, focus on the game and listen to our coach, what he has to say. Who is your inspiration, as far as rugby is concerned? Akash: It’s Sailen Tudu. 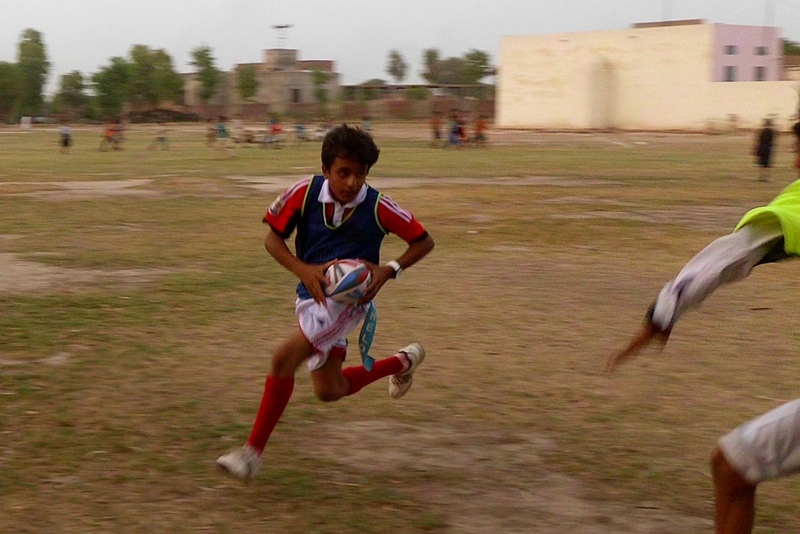 According to me, he’s the best player; he has taught me well about rugby…everything in life. He’s like a big brother to me. Puspendu: It’s Sailen Tudu for me too. When I came to Calcutta the first time, I met him. We belong to the same village. There were only two people from my village those days, Tudu bhaiya and me… no one else. He taught me, sent me to school. 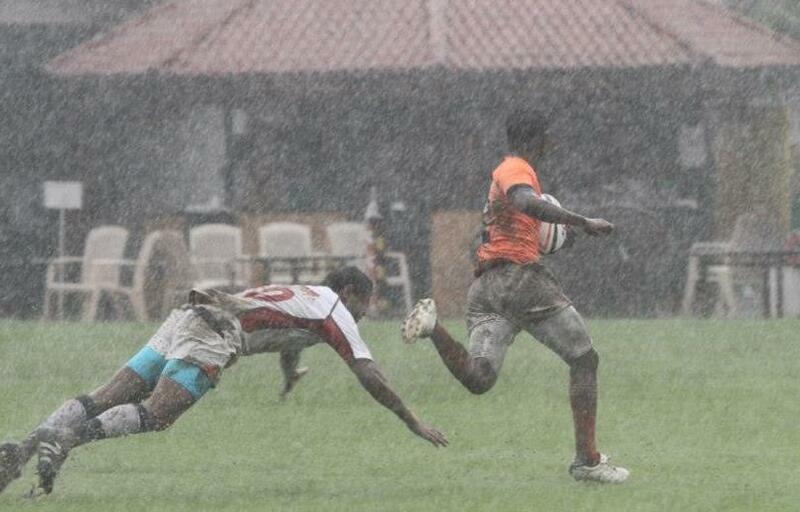 Those days I used to only play, I didn’t have any knowledge about rugby. One day he took me to the Maidan and introduced me to Paul (Walsh) sir. Since then I’ve been going for training. An advice given to you, which has helped you? Puspendu: Respect is the most important thing for me. Respect the players and your coach. No matter how great you are, if you don’t respect your coach, you’re nothing. 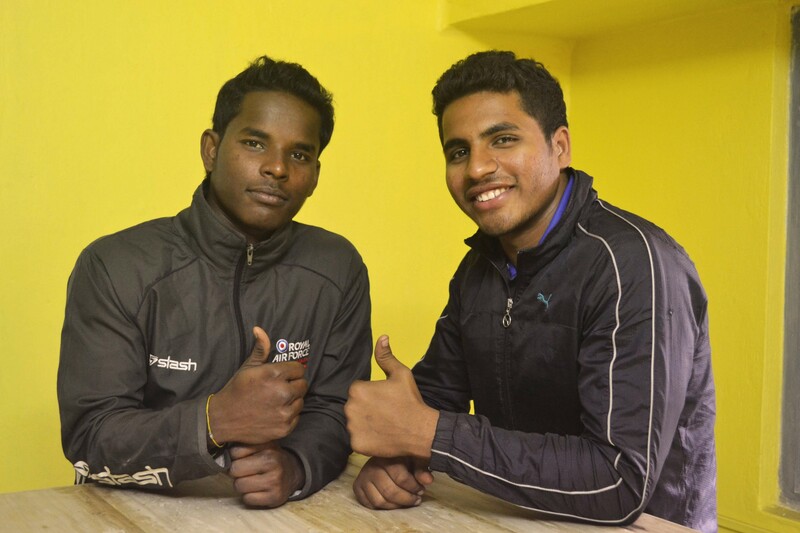 Akash: Tudu bhaiya taught me to respect my position in the team, team mates, and coach. His advice is the most useful as he leads by example. What about respecting the opponents? Akash: Yes, we do respect them in the game. When they get injured during the game, we help them. Because at the end of the day, it’s just a game. You both have gotten the chance to visit UK, how was your experience? Was it the best experience of your Rugby playing career so far? Puspendu: I never imagined I’d go to England… never thought I would get the chance to travel by plane. The first time I went on a plane and lived there, it was a very nice place. It’s a very clean, no dirt at all, the people were good… everything was amazing. From then on, I have never looked back and my Rugby playing has only improved. Recently I also got the chance to play for the India team and that for me is my big achievement. Akash: I had just played my second game in La Martiniere school tournament, where I played well. Arijit Sirkar had asked me for my birth certificate and told me that I would go to UK, but I took it as a joke. My passport was made and Paul Sir came to my house to tell me about the verification. When I went to the station, the officer couldn’t believe that I am going to UK. He looked at me condescendingly and said, “this boy from the basthi will go to UK?” My mother wasn’t happy with this decision; she was scared about who will take care of us and how will we manage. But, I really wanted to go and convinced her. It was the first time I was on the plane and that made me nervous, and Commando told me that the toilets in the plane are very small… that freaked me out more. On reaching, we met Peter and Steve, after which we got divided into two’s to live with different families. Sanjay and I got to stay with a Punjabi family. And, we met Curt and Tudu at Caldy Club, where we played our under 13 tournament. 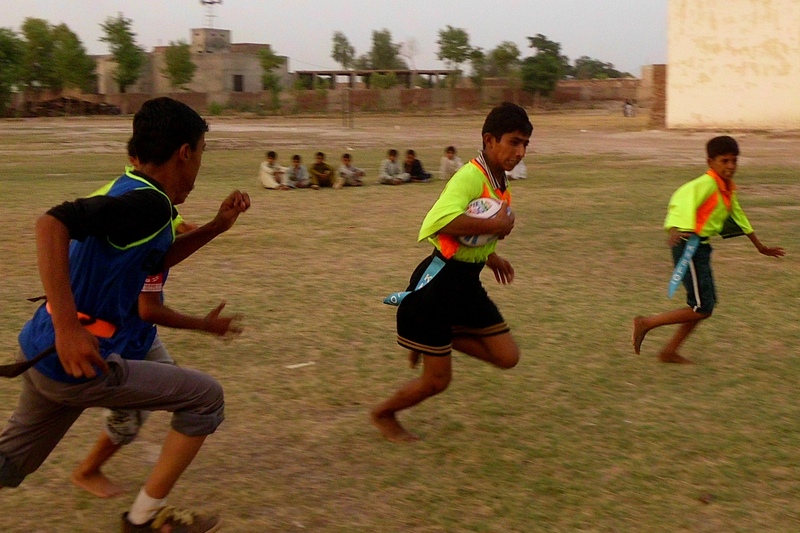 If there’s a new kid who wants to play rugby, what would be your advice to him or her? Akash: First, I will describe the ball! The kid will be surprised to see an egg-shaped ball, and then I will talk about rugby and tell them that if they want to play, they should eat good, healthy food. Puspendu: I will do the same. I will speak to him, and tell him that he’s a good player. I will tell that if one gets into bad habits, it will instead affect one’s health… the game too… I will try to explain the harmful effects of indiscipline. Besides playing, the two of you have also done some coaching Tell us a bit about that. Puspendu: I don’t do much coaching. To be frank, I find coaching a bit challenging; I don’t think it’s something I can do too well. When I go for practice, I explain the format and rules of the game to all those who are new. Akash: I started my coaching experience with netball. Initially, I was very nervous and didn’t know how to go about it. I would just observe Lovepreet and try to work it all out. Paul Sir would encourage me, which did give me some confidence and I’ve had training. Currently I’m coaching at three communities in our Khelo Rugby project (Bhavani Bhavan, Bijoy Basu, and KPT Colony), a couple of schools, and I am also involved with Netball coaching in a few Girls’ schools. Can you tell us a bit about Netball? Akash: Netball is the best sport for girls, according to me. It’s a no contact sport, so the girls can play without hurting themselves. It can be played in basketball courts too. 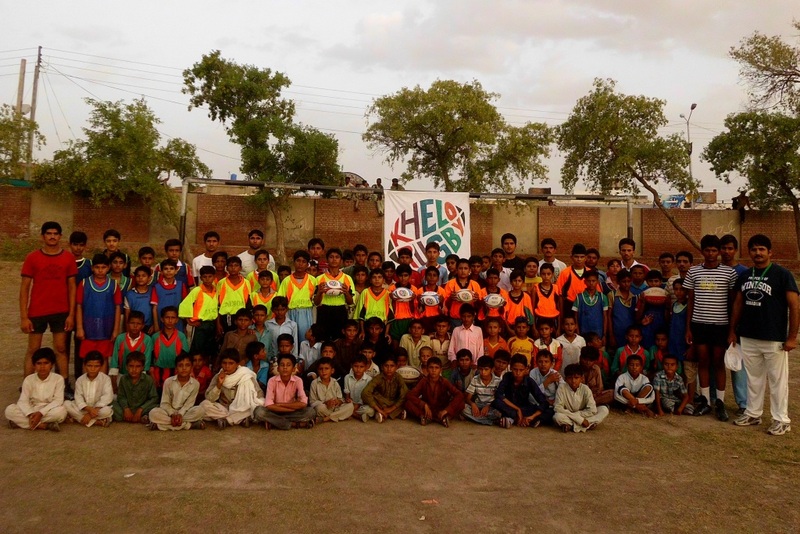 What more you want to do for the children associated with Khelo Rugby? Akash: I would want them to study while becoming a good player at the same time. Akash: Yes, don’t eat junk always… Most important! You both have played a few seasons of Rugby now. So can you talk us through your day during the rugby season? Akash: During those times, we don’t think much about studies! We only think about how we are going to play, about winning the game. Puspendu: I don’t think about school and studies too.. To be honest, I don’t think much about it otherwise! It’s the rugby season, so my main concern is how we are going to play; we make the game plan, focus on fitness, and go to the gym. What’s the best thing about each other when it comes to rugby? Akash: Commando has good skills, passes, running and the best part is, he is always one step ahead of the others.. always thinking about what should be done next. Akash: Commando doesn’t talk much, he has to talk more! He can be one of the best player in the country if he talks more..
Puspendu: Akash’s tackle is the weakest; he misses the tackle at the most crucial point and the opponents manage to score a try. Will you teach him how to tackle? 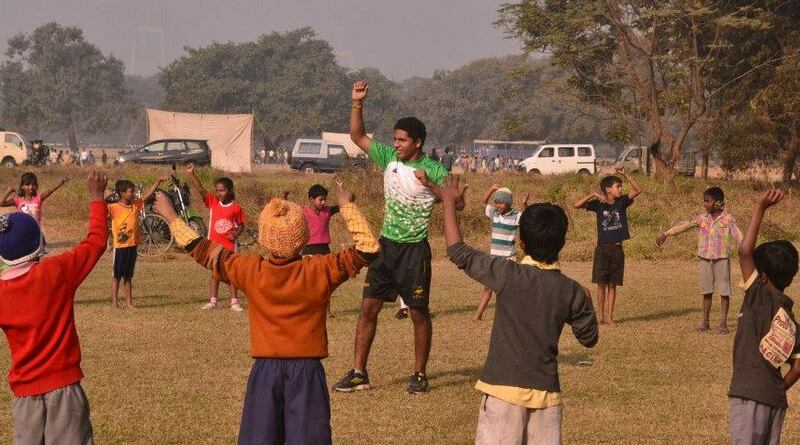 Akash: Definitely, there are a lot of things Commando has taught me regarding rugby, before I joined Jungle Crows. I will continue learning from him. Puspendu: I will be very happy if Akash becomes a better player than me one day! Can you tell us about Paul Sir, what do you think about him and his influence in your life? Akash: I’ve never seen anyone like Paul sir in Kolkata, because he took local boys like us and spoke to us and made us what we are. Puspendu: He has helped me a lot. He would be always very happy to see me play well. Whenever I needed something like shoes, shirt, shorts, he would give it happily. Commando, tell us about your special interest in the children from the Adivasi community. Puspendu: Adivasis are very fit… they play football, hockey and so many other sports There are people of all cultures who play… there are Sikhs, Hindus, Muslims… I want there to be a separate team where the Adivasis get a chance to play and have an identity of their own … I want them to organize and play very well, make a mark for themselves. I want people to recognize them, because many don’t know about our culture, and they think we are just illiterates from the jungles. What I really want to do is to train them hard, and learn a lot. If rugby can change me, my brother Tudu, then it can surely transform many other youngsters and prevent them from exploitation. Other than rugby, which sport(s) do you play? Akash: We play these sports just for fun. Puspendu: Studies is a big challenge for me! But I want to work hard, finish my studies and maybe join the army team one day. 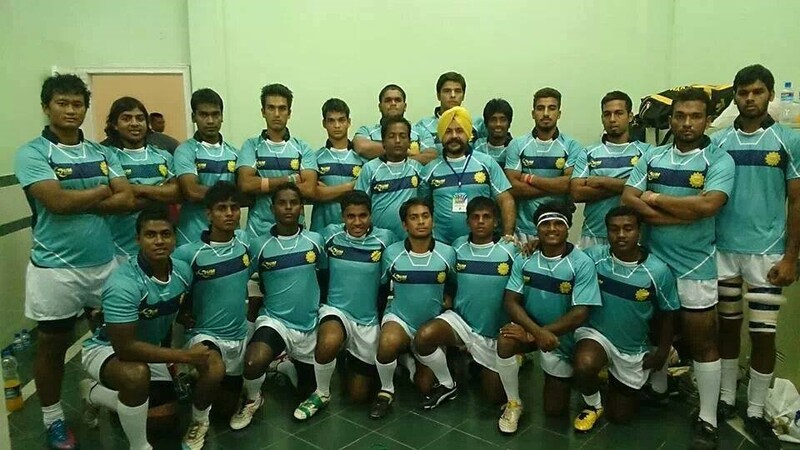 I also want to work hard to promote Adivasi Rugby. Akash: Last year, I played for the India team and that was a very proud moment of my life. I want to be the best coach and retire as one of the top players in the world!